Los Angeles doesn't have a whole lot of fine dining restaurants. Melisse is still one of my favorites. I've been fortunate to enjoy a few birthdays dinners in the elegant restaurant in Santa Monica. My oldest brother happened to be visiting LA around his birthday, so my dad and I decided to take him for his own fine dining experience at Providence Restaurant. Providence's interior is a little more casual and simple than Melisse's finery. Providence has high ceilings with a subtle water vibe from a collection of a seashells on the walls. That's a nod that you're in for a seafood meal. There's three different tasting menus at Providence ranging in price from $120 - $200, plus another $165 - $325 for wine pairing. Pricey, yes, but not over the top for a restaurant of this caliber. 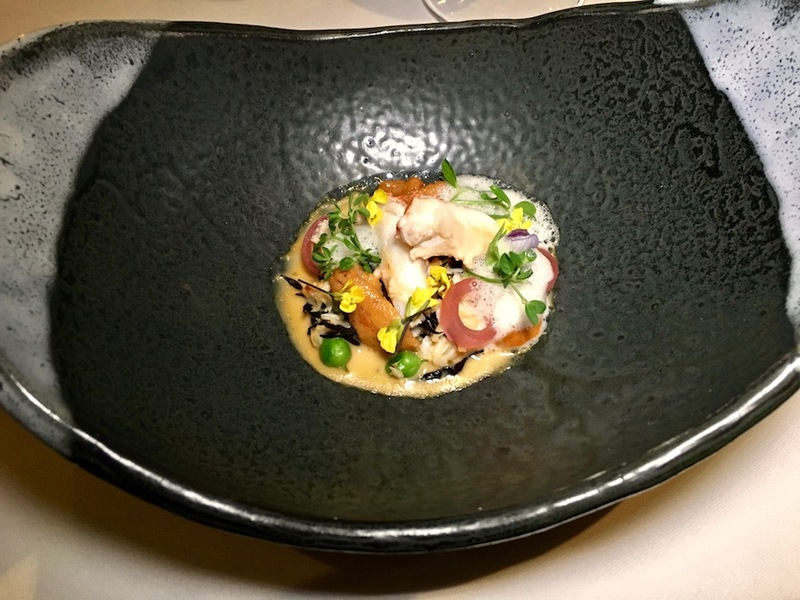 When Los Angeles was still receiving Michelin stars, Providence received two, ranking it up there as one of the top restaurants in the city. Michael Cimarusti has been the chef at Providence for the decade since it's been opened. He's always had the best, most sustainable seafood as the cornerstone for his restaurant. The tasting menus play heavy in the sea with a best-of line up that can run from crab to abalone, prawns, scallops, salmon and halibut, depending on what's fresh where. The plating is as carefully prepared as each ingredient. The amuse bouche are whimsical, one bite works of art that included radish purses, spicy oysters and a salmon wrapped anchovy. Wagyu beef is creatively rolled into cylinder shapes and placed and presented in an open cigar box. It was as delicious as it was playful. Osetra caviar gently rests on slivers of new sea scallops. There's fresh ceviche, sashimi, crab and abalone, each perfectly balanced in flavor, texture and color. There's a single Santa Barbara spot prawn with Belgian white asparagus. 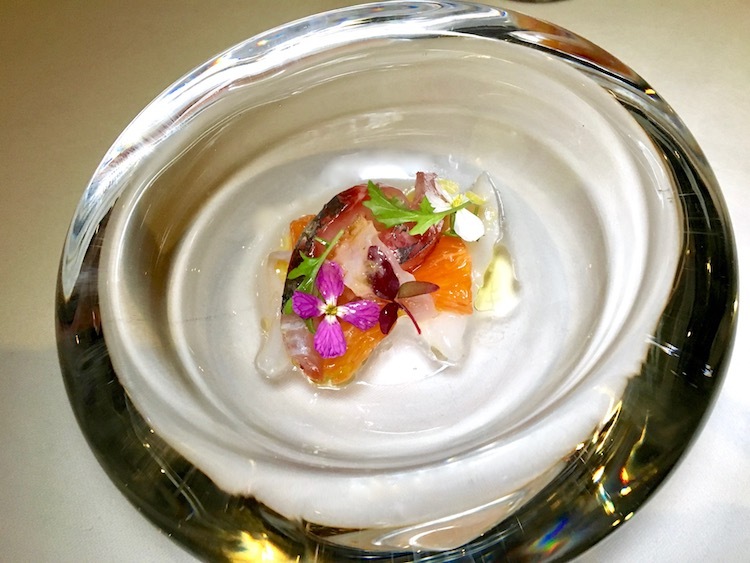 Abalone is served with eggplant, turnip and nori. And meat makes another poignant showing with the a5 wagyu that melts in your mouth with beet cured in kombu and coastal onion. The cheese cart is a beautiful display of aromas and variety. Now might be a good time to note that you can customize the menu for gluten free and dairy free intolerances. Just be sure to call in advance to mention any allergies. A flurry of desserts end the meal like sorbet, bread pudding and small bites of colorful sweets. 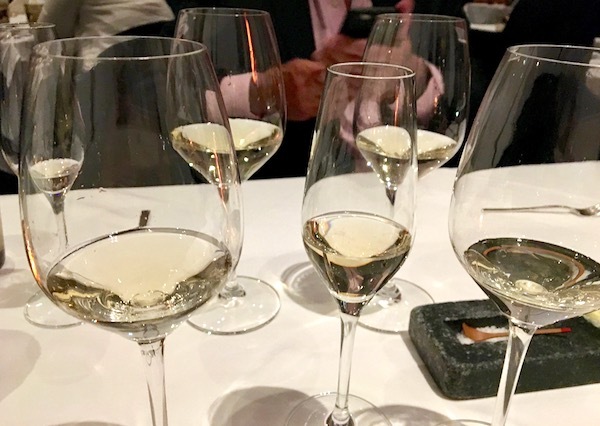 The wine pairings are a treat with the ability to try varietals you may have never experienced and that are carefully selected to enhance each dish. If you're going to go for it, go all the way with the wine pairings. Providence is truly a special Los Angeles dining experience. From the service to the quality of ingredients and of course the taste of the food, Providence delivers. It's a restaurant worthy of celebrating your special occasion.